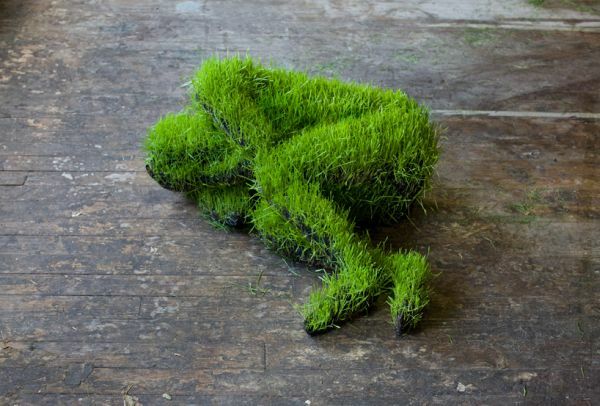 Lives of Grass sculptures show the effects of transformation of the material as a metaphor of the transformation of the body. Time sculpts the forms, makes them change and then decay. The natural world, ingested as food becomes a component of human being. These sculptures strive to show that food, it’s origin, it’s transport, has an impact on us beyond it’s taste. The power inside it affects every organ of our body. Observing nature and being aware of what and how we eat might make us more sensitive to food cycles in the world – of abundance, of famine – and allows us to be physically, intellectually and spiritually connected to a global reality.